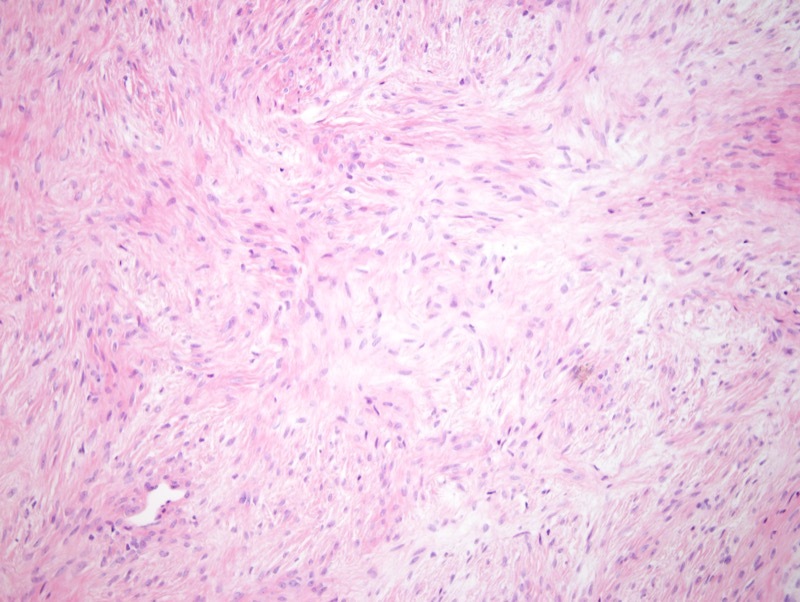 Low-grade fibromyxoid sarcoma most commonly presents in young to middle aged adults and is more common in men. It is typically slowly growing and arises in the deep soft tissues of the lower extremities but can also be seen in neck, chest wall, buttock and inguinal regions as well as other sites. 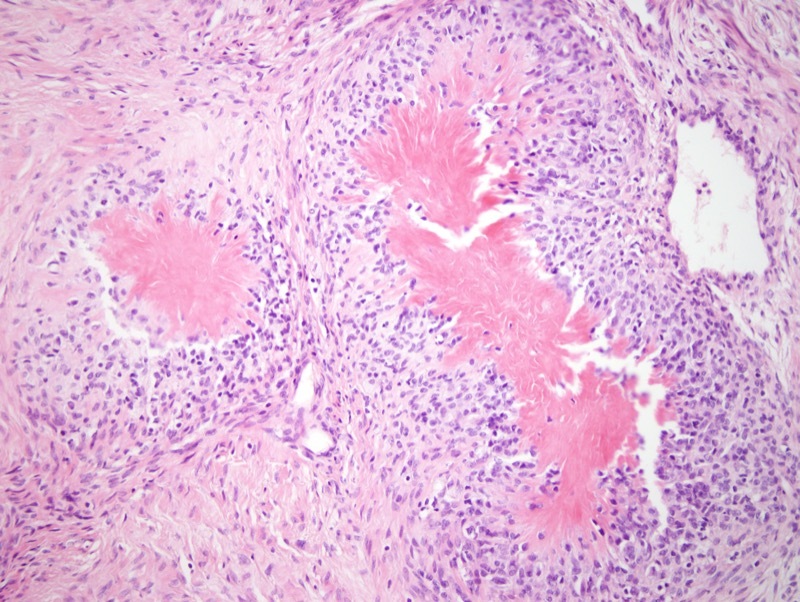 Hyalinizing spindle cell tumor with giant rosettes is a variant of low-grade fibromyxoid sarcoma. 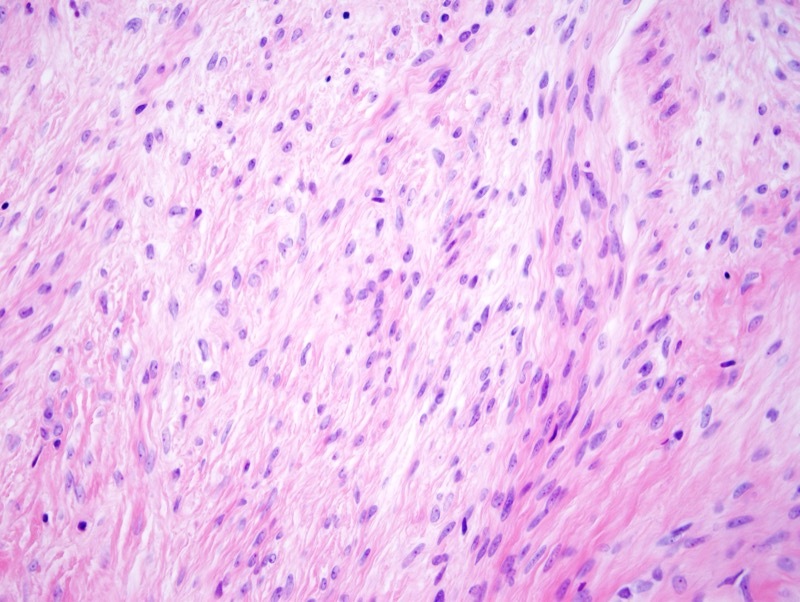 Microscopic examination discloses a low to moderately cellular spindle cell neoplasm with small hyperchromatic nuclei and eosinophilic cytoplasm. 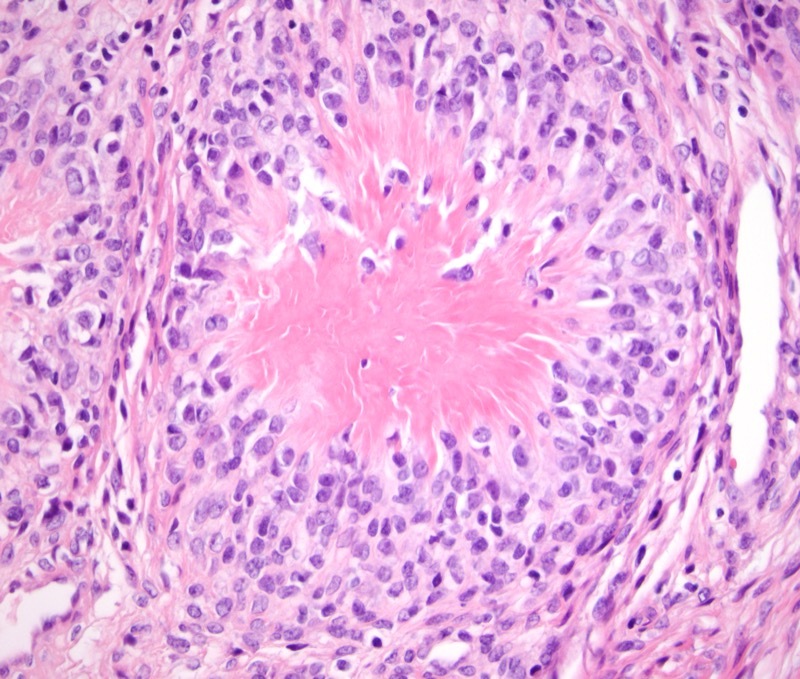 As the name implies, the tumor generally does not show pronounced mitotic activity or marked pleomorphism. 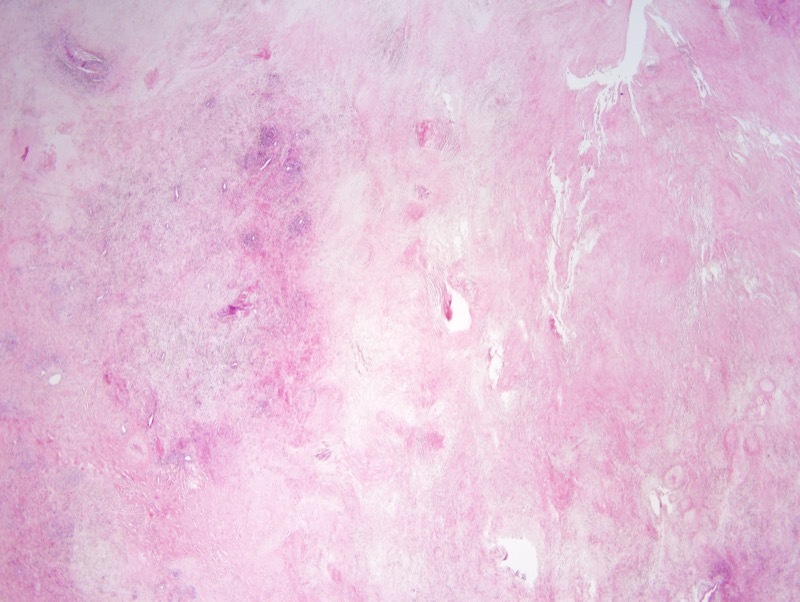 Best appreciated on low power examination is the juxtaposition of fibrous areas and myxoid areas with occasional transition in the intervening tissue. 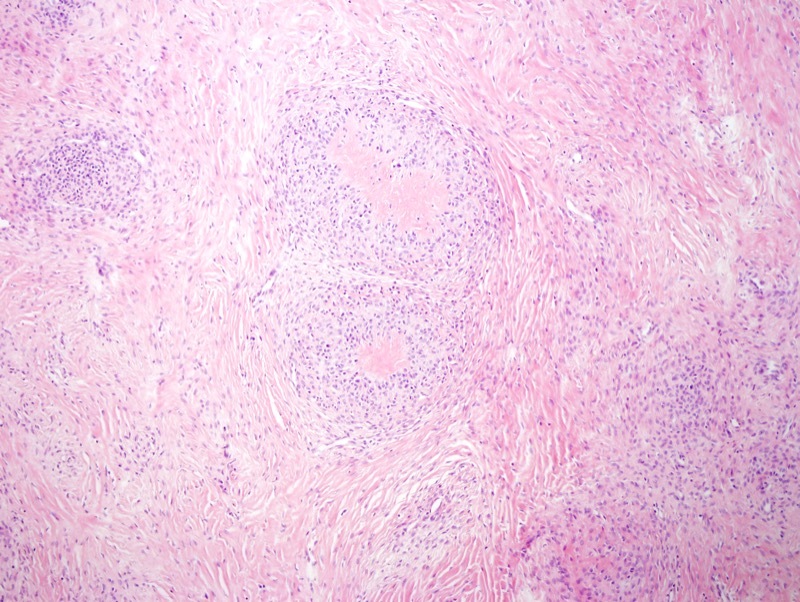 A branching capillary network permeates the tumor. Tumors may occasionally show focal reactivity with SMA, desmin, EMA, BCL-2 and CD99. The characteristic translocation involves chromosome 7 (FUS) and chromosome 16 (CREB3L2). A minority show t(11;16)/FUS-CREB3L1 fusion.